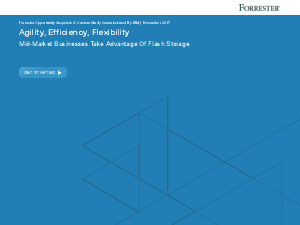 We know that flash storage can provide significant benefits and deliver needed agility for large businesses, but what about medium-sized businesses (MMB = 500 to 999 employees)? › A majority of respondents expect to continue their investments, with almost half aspiring to an all-flash storage environment. To learn more download this report.